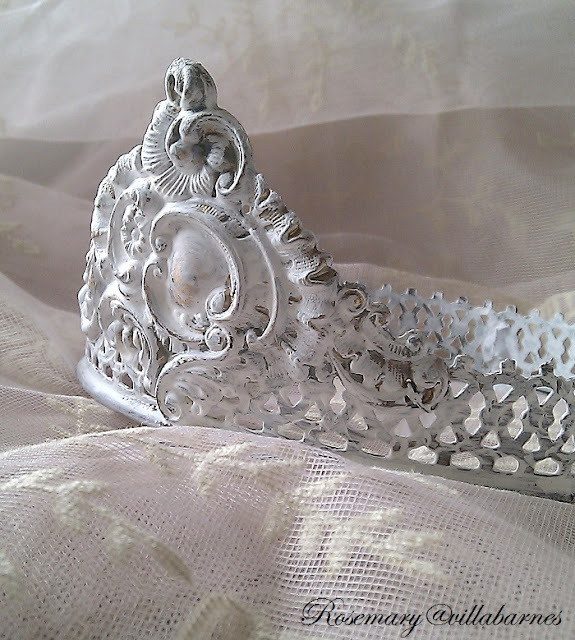 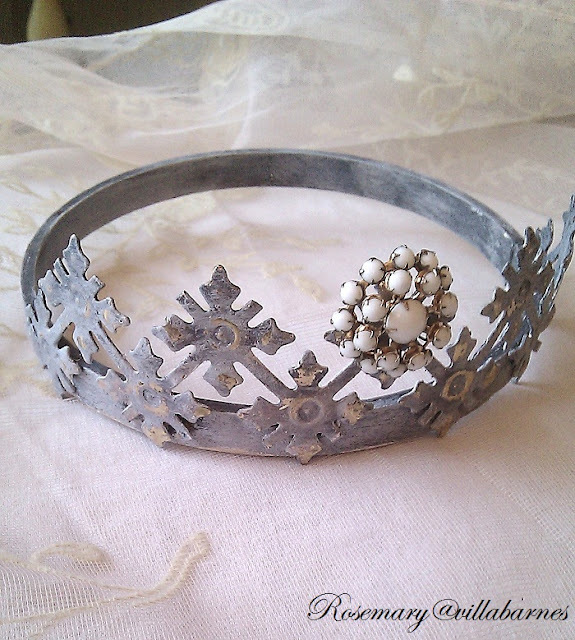 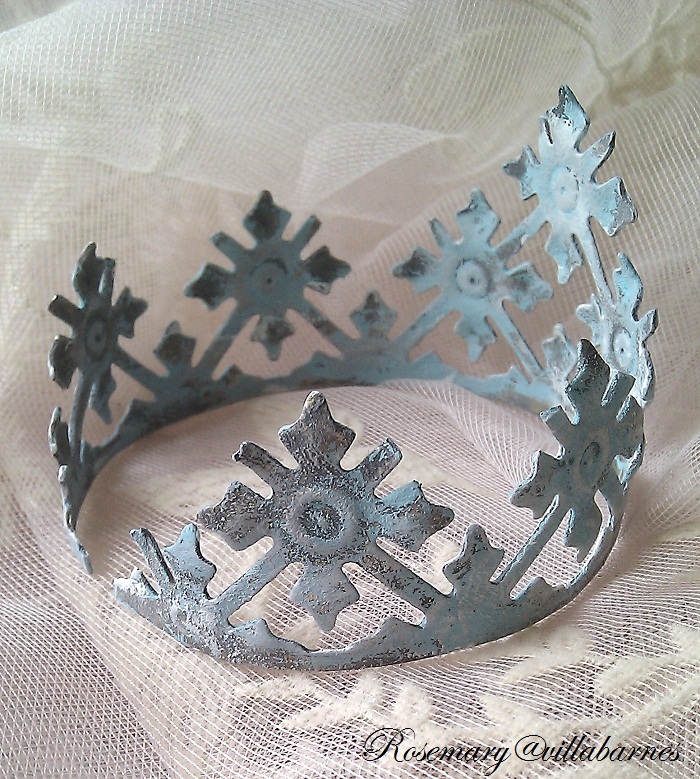 I'm adding more tiara/crown designs to my Etsy. 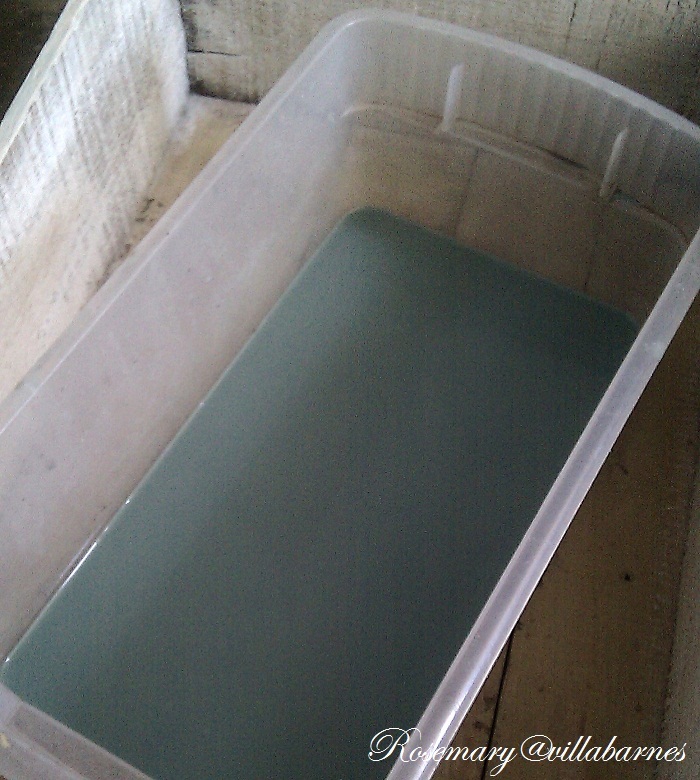 I'm sorry I didn't get a chance to do a blog post about my last batch. I did a Facebook post first, and quite a few were gone before I could give you a heads up. 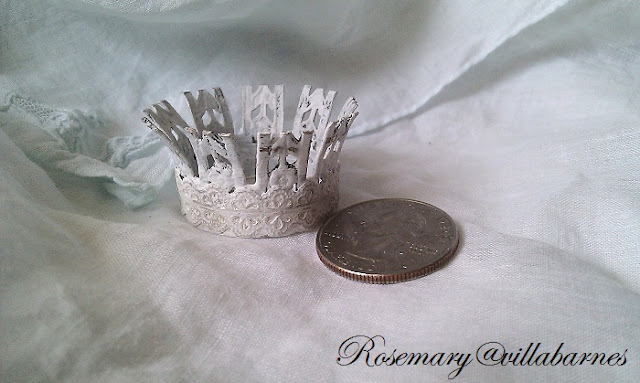 This is not one of my mini pieces. 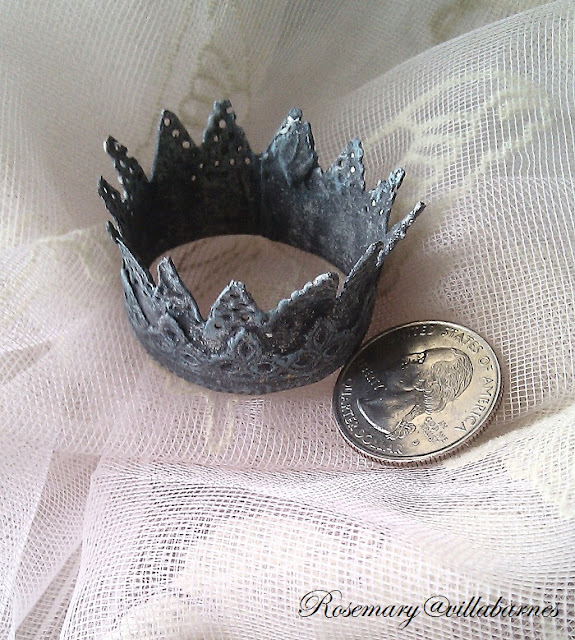 It's 5" in diameter. 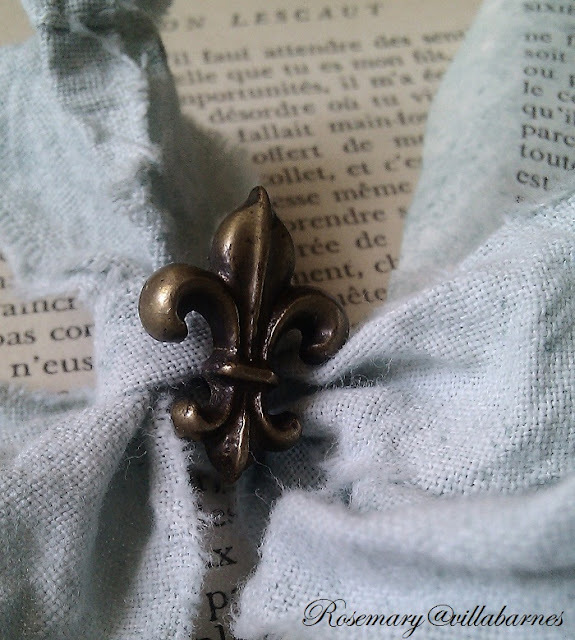 Here's a small fleur-de-lis. 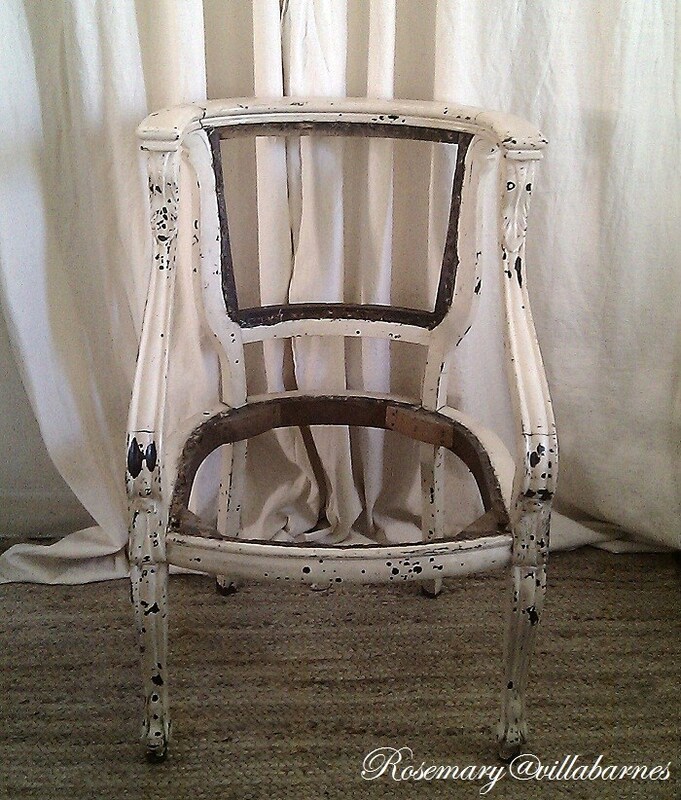 UPDATE: It's SOLD. 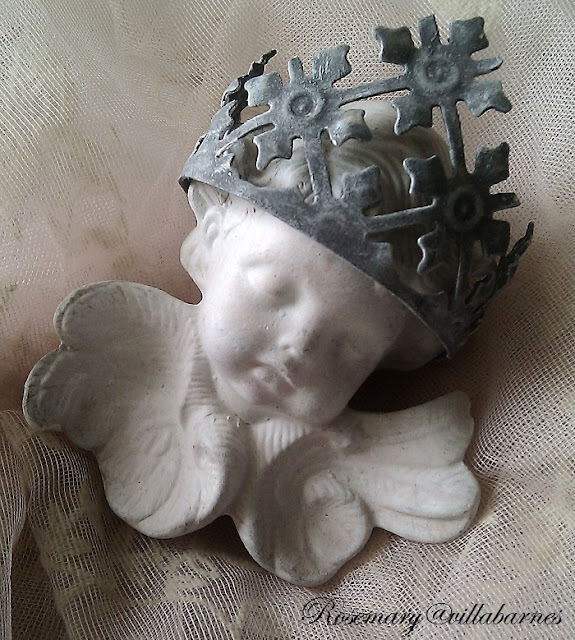 This one is 6" in diameter. 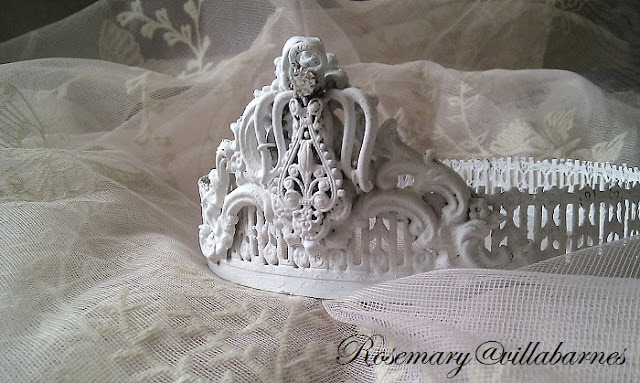 Thanks again to some of my blogland friends for also being customers. 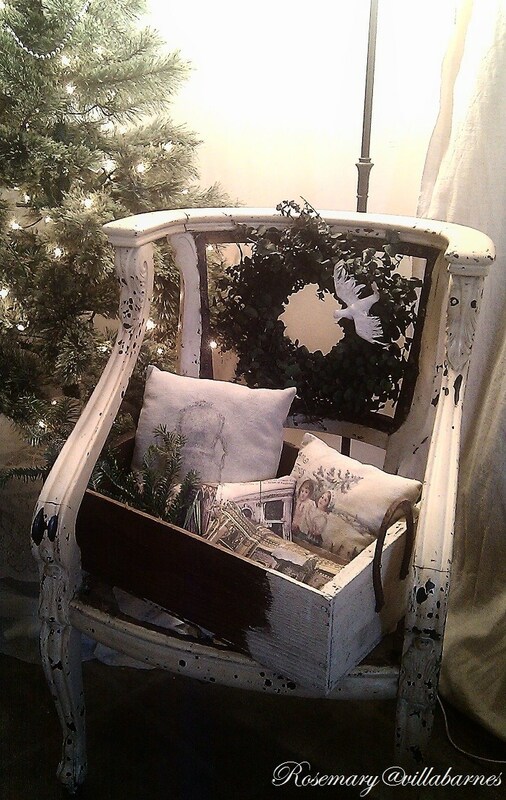 I'm finishing up several similar designs. I'll try to keep you posted here, as well as FB. 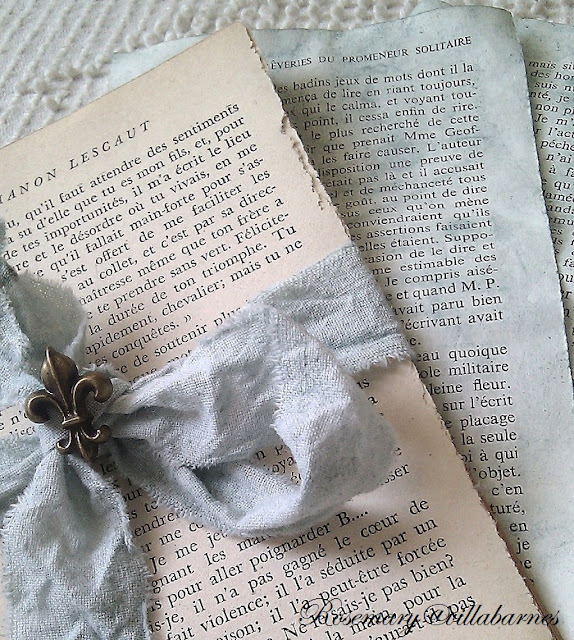 I played around with book page bundles today. 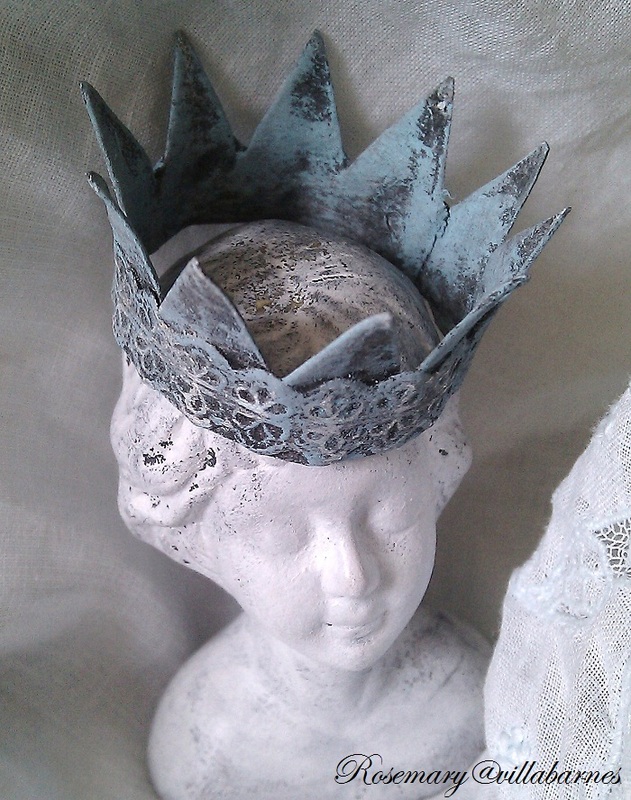 I wanted a touch of blue. 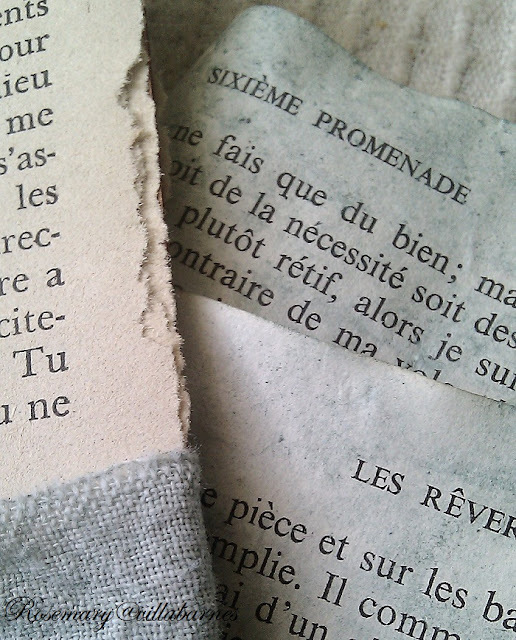 I decided to tint some of my book pages, and fabric. 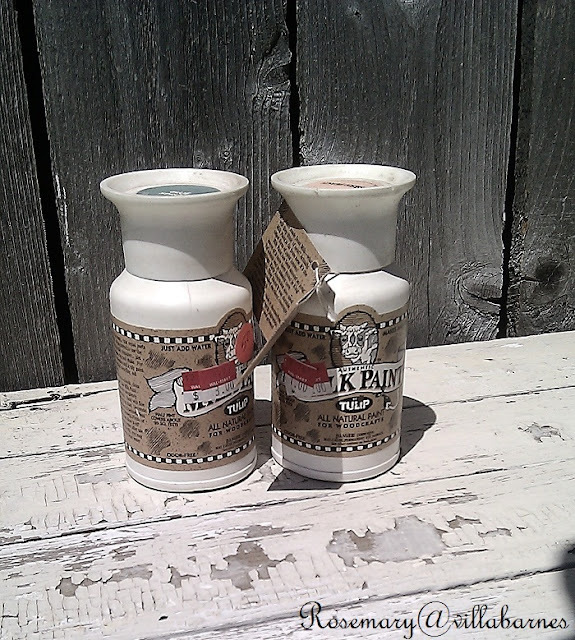 I didn't have any dye on hand, so I used watered down milk paint. I used spruce. 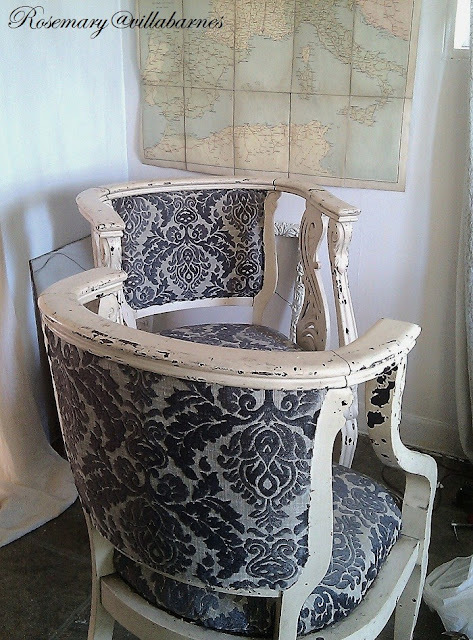 It's the same color I used to paint the fabric on my french chair seen HERE. 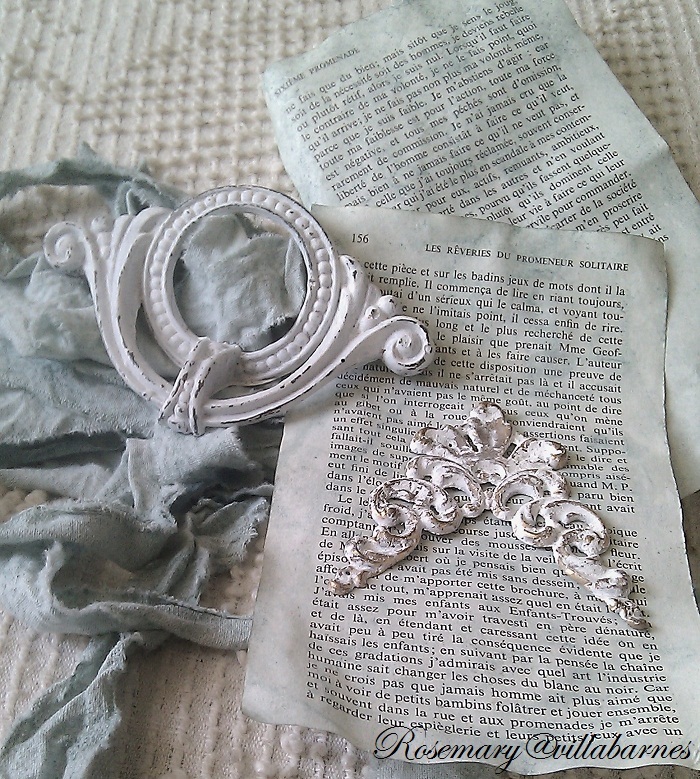 and gave them a bath, along with some of the book pages. 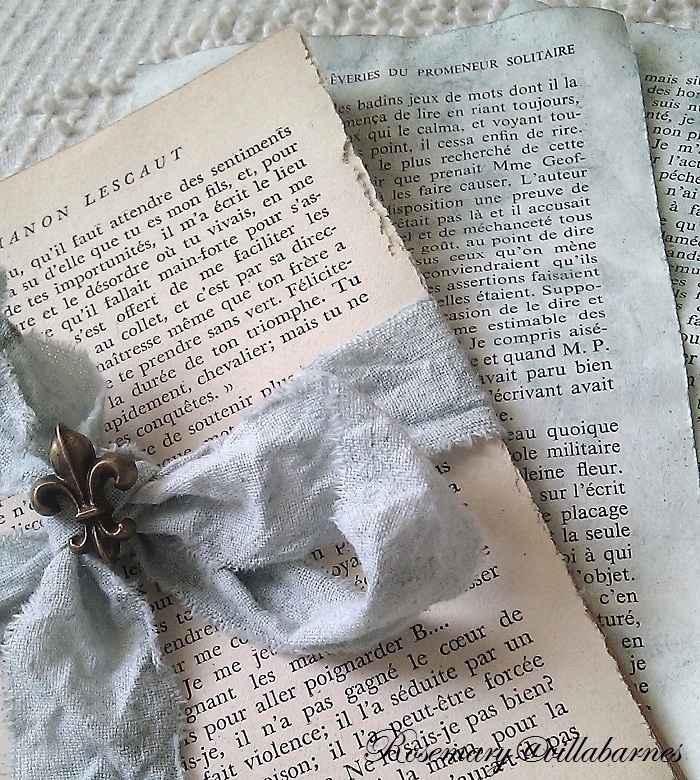 I just let the book pages dry. 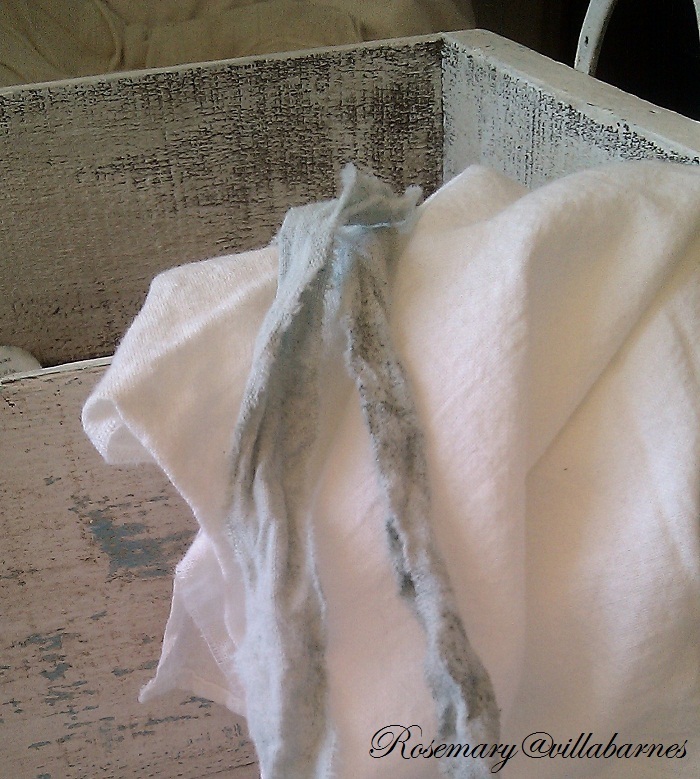 The fabric was rinsed several times. 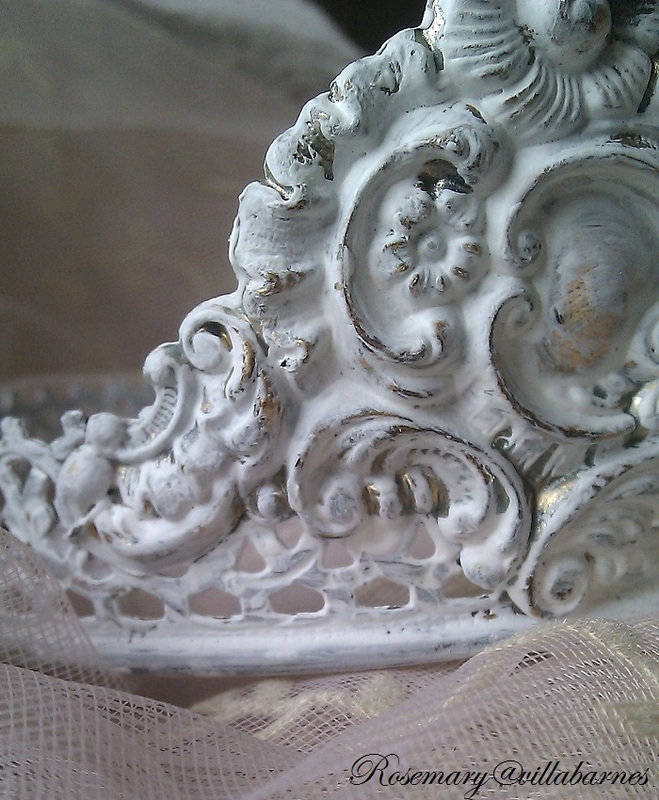 The color faded, and it maintained a soft texture. The book pages will have a little bit of a film after it dries. 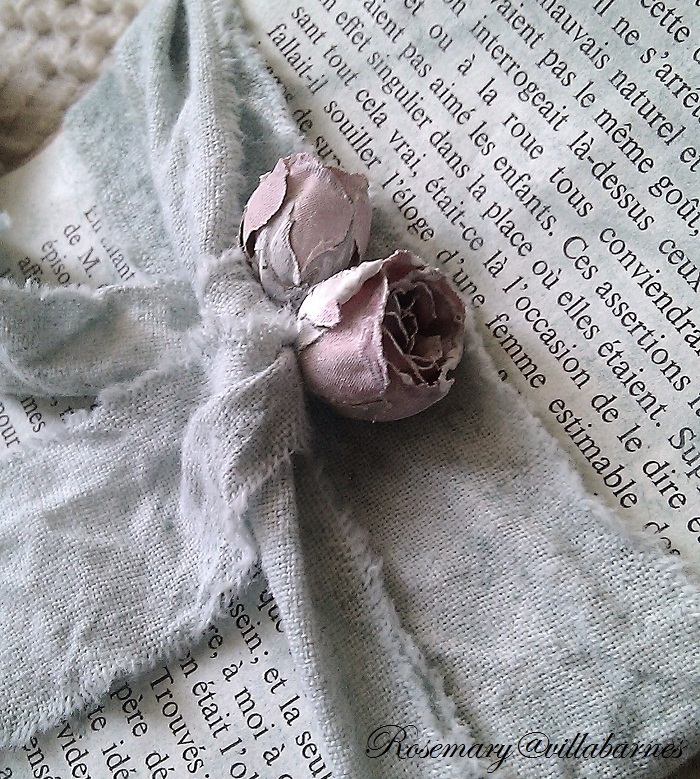 I just used a rag to wipe it off. 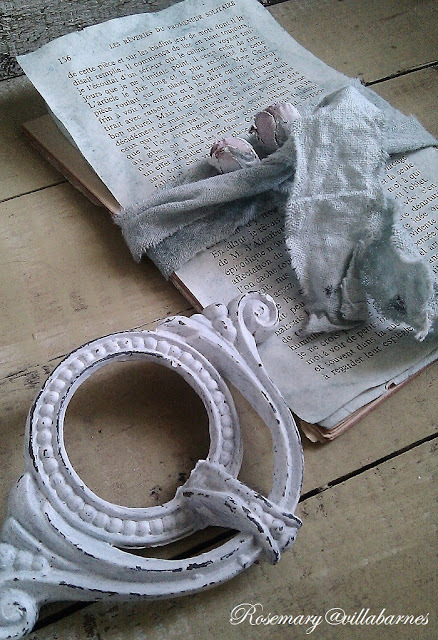 Here are a couple fabric roses I swished in watered down gesso. 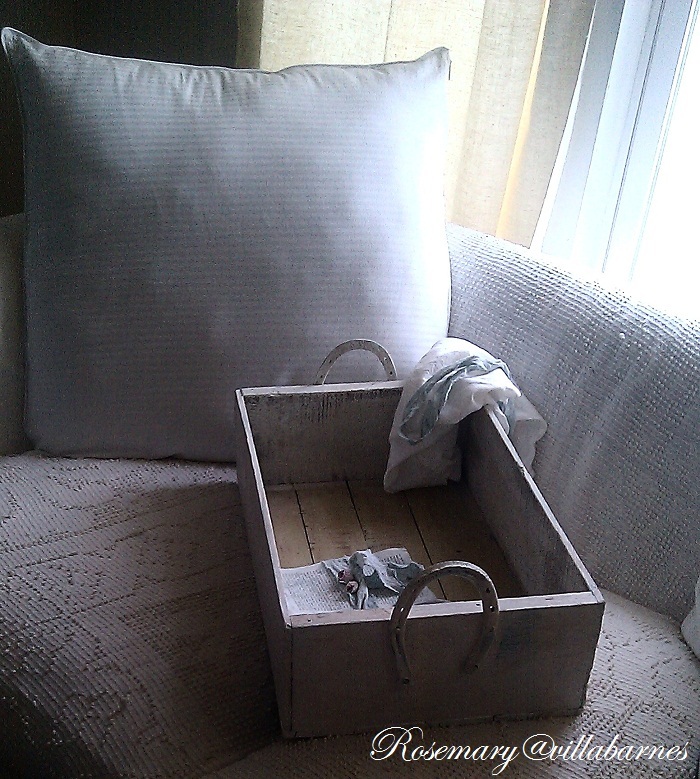 While I was in a soft blue and white mood, I painted a crate. 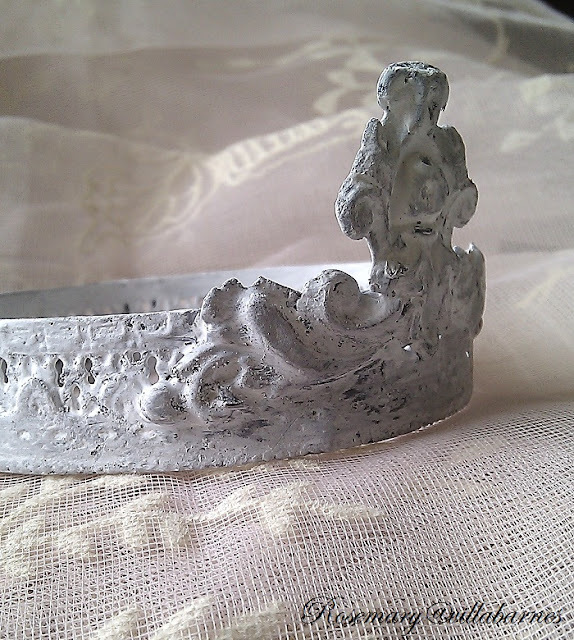 I decided to make it one of my horseshoe handled pieces, and painted them as well. 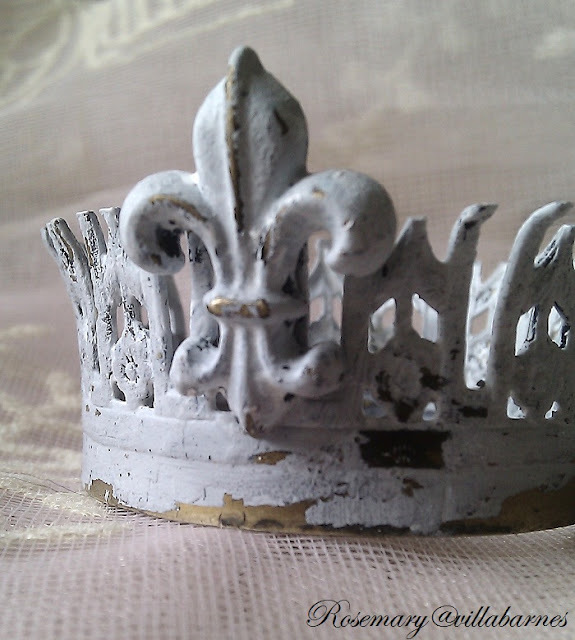 It's layered with white, and aqua paint. I gave it a little distressing, and painted the inside bottom a contrasting color. 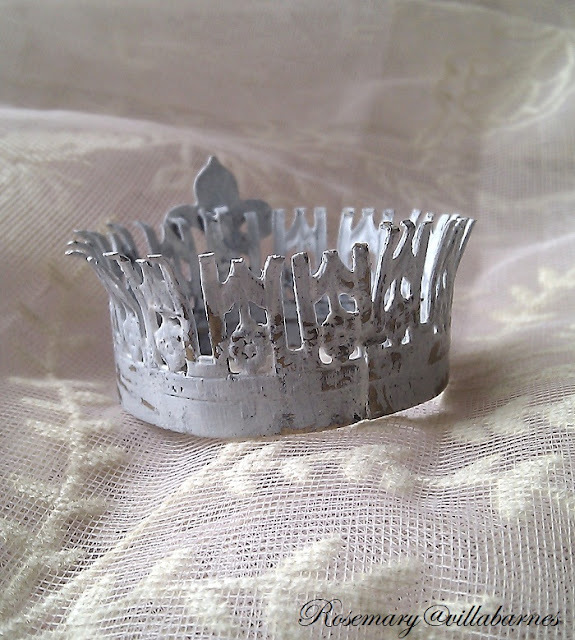 This was my little break from whacking metal to make tiaras. 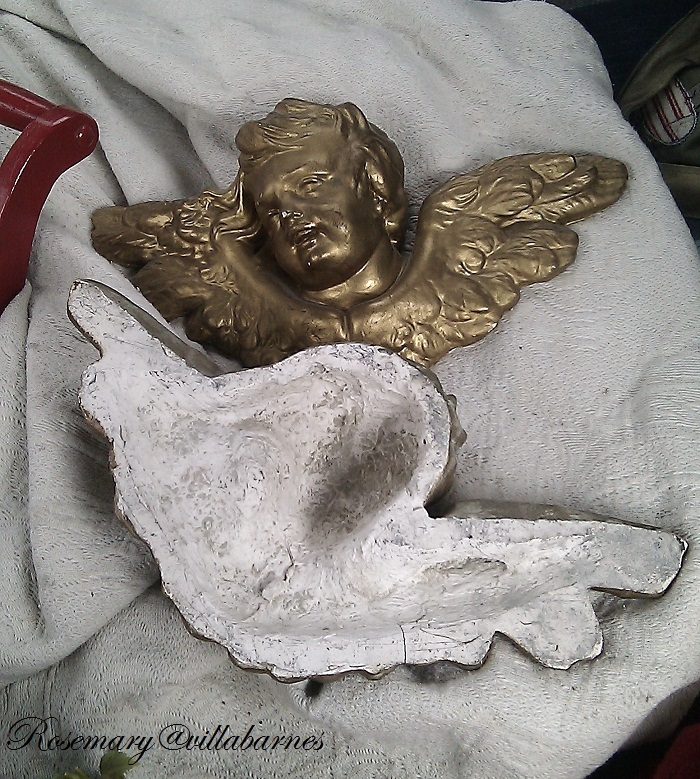 Now, I have to get back at it. 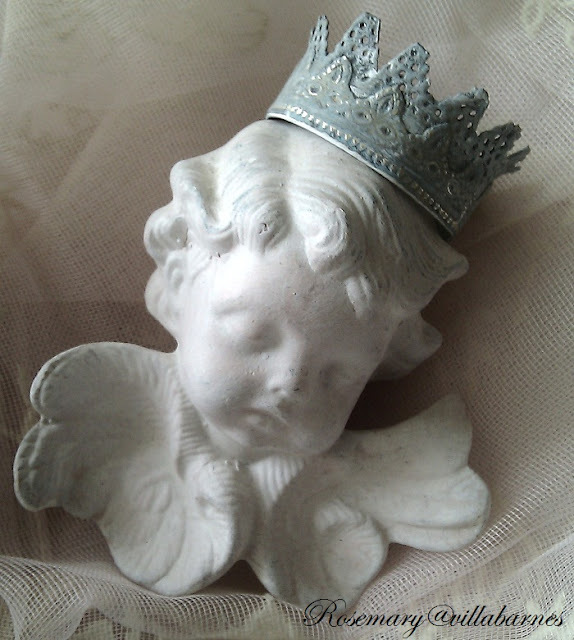 See ya soon. 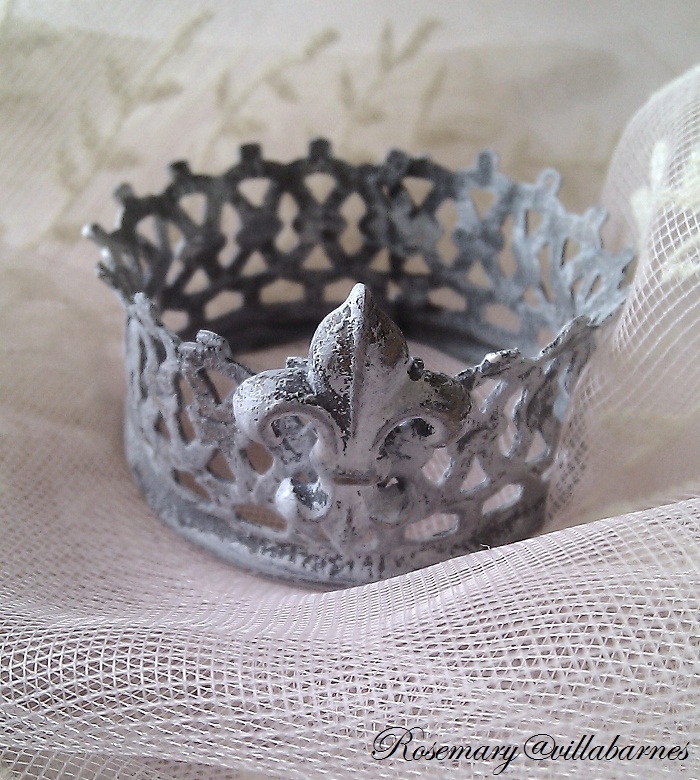 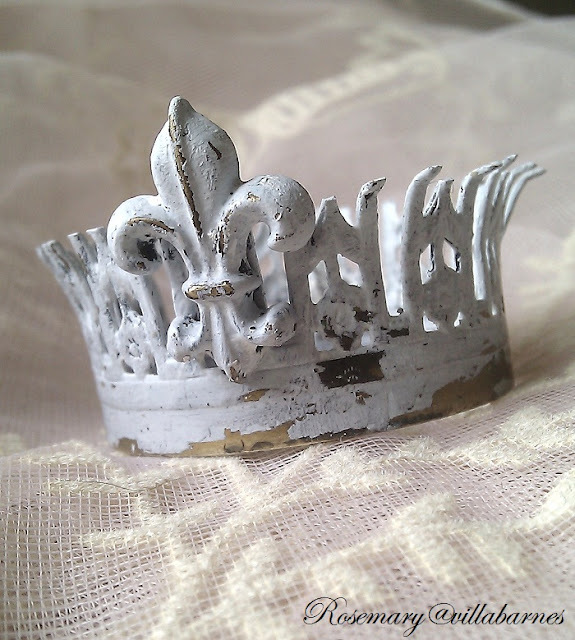 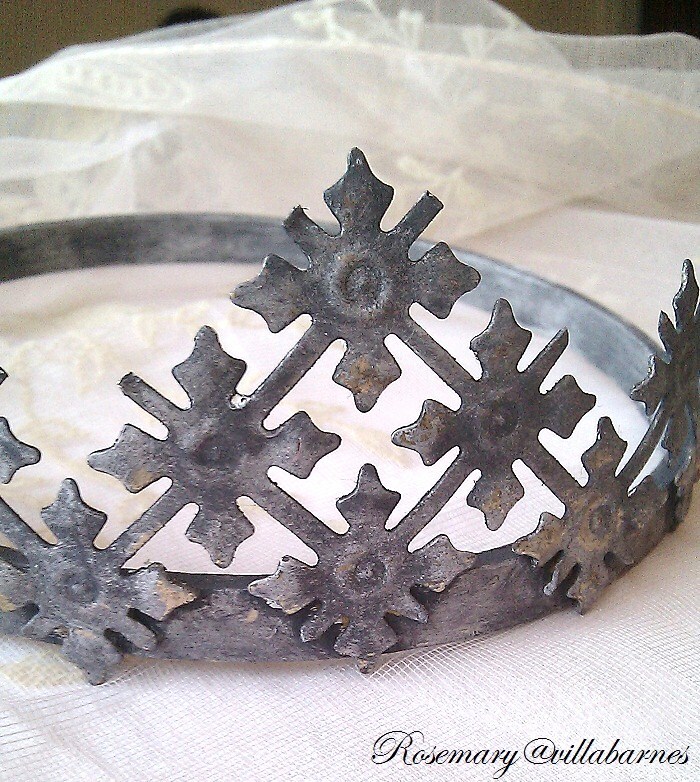 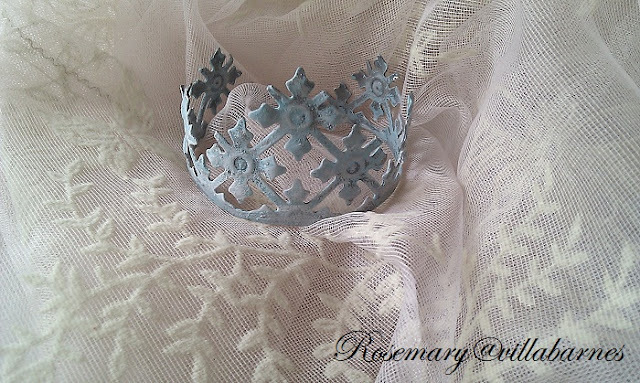 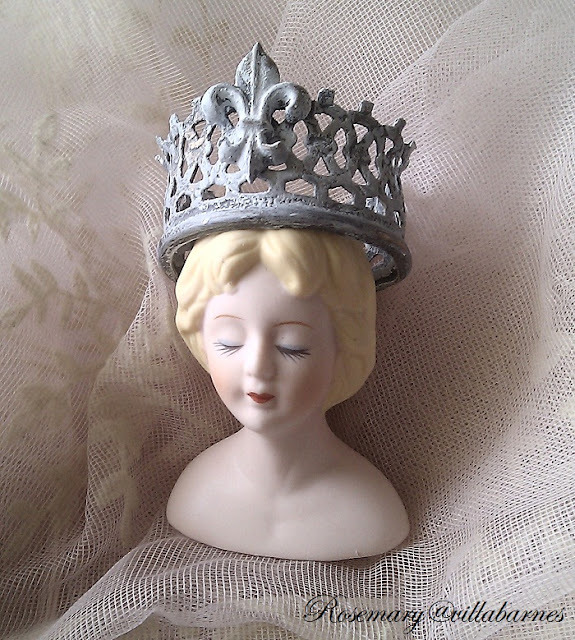 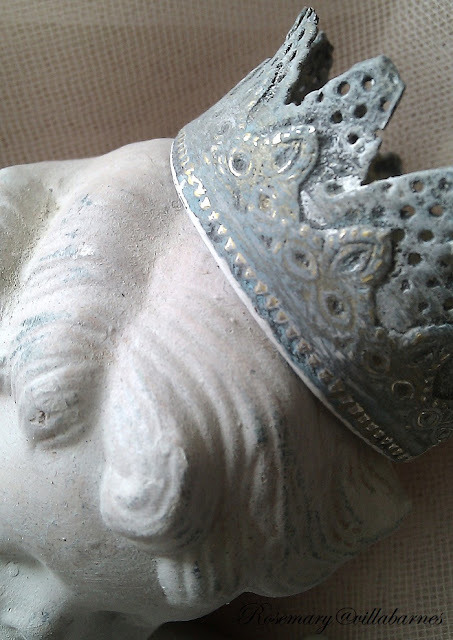 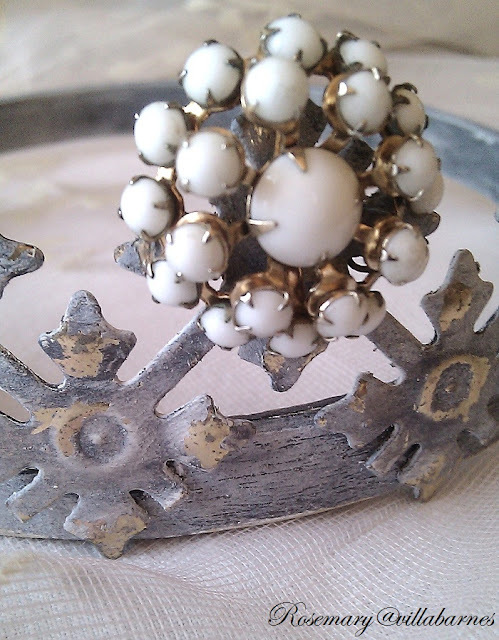 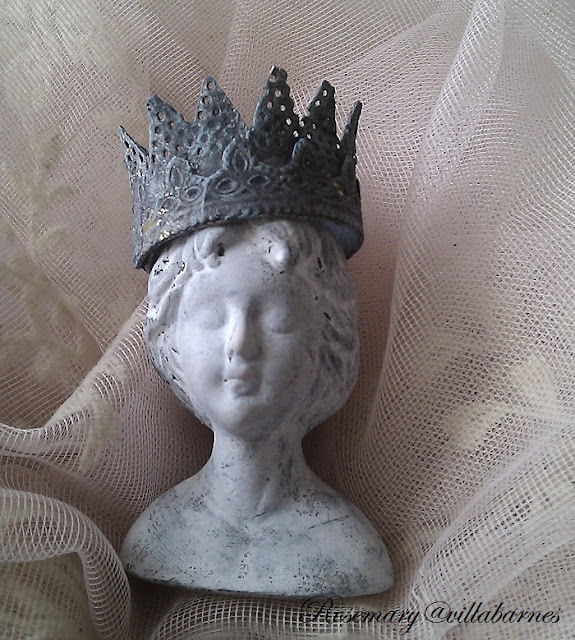 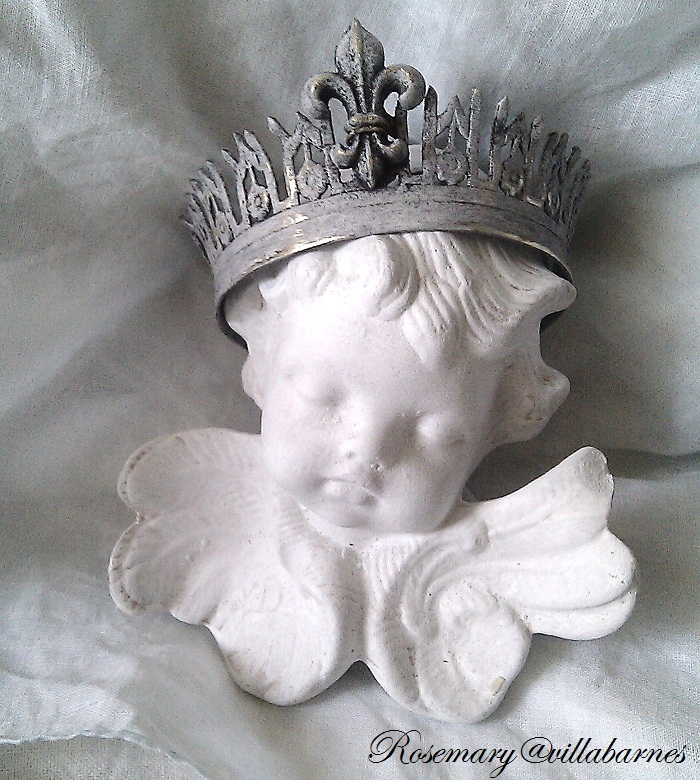 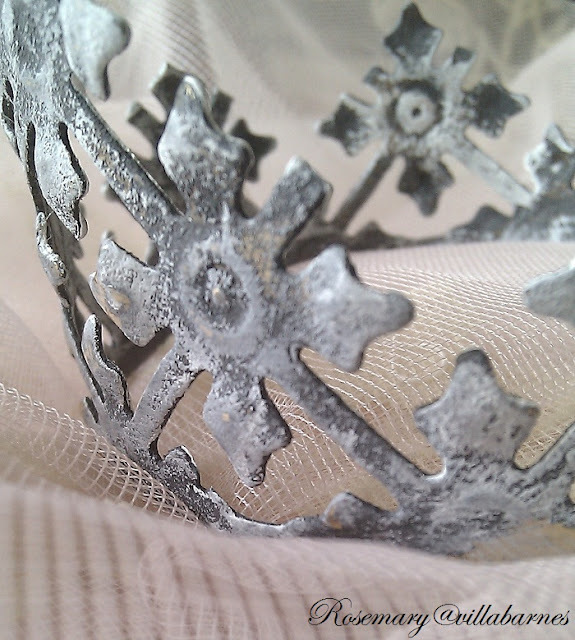 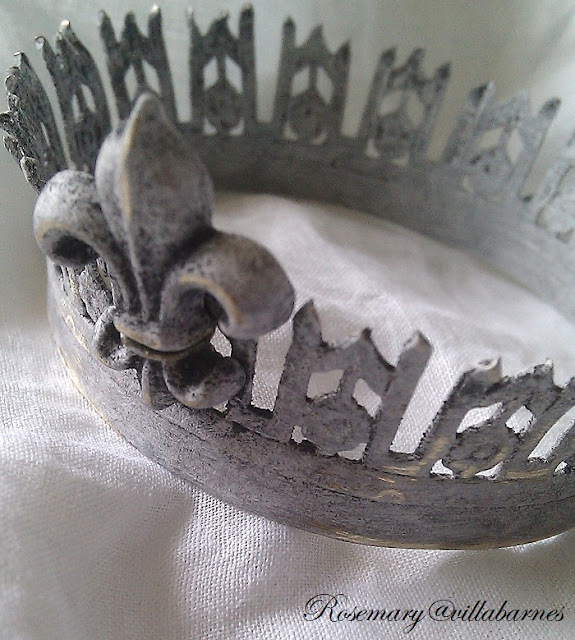 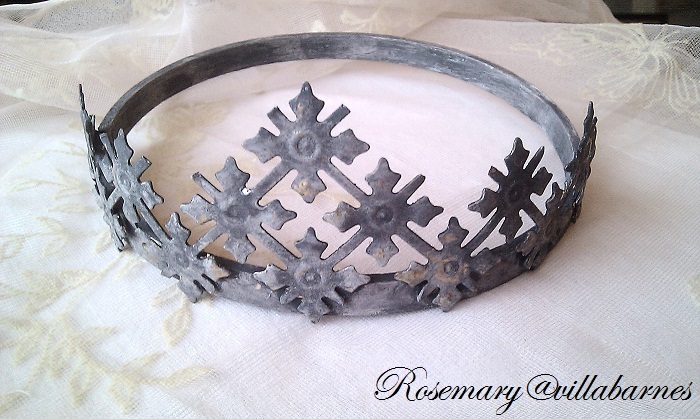 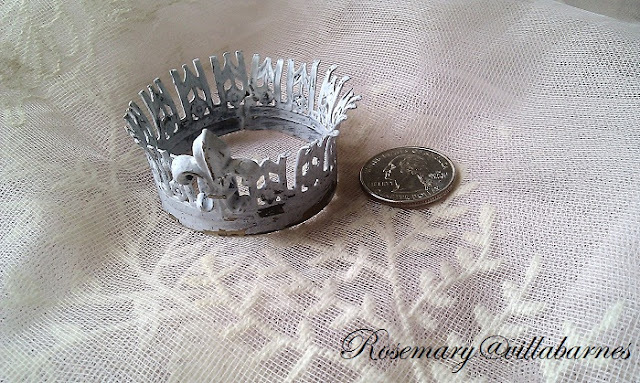 and a little metal fleur-de-lis, I created this mini crown. You know how much I love close up shots, so you can't tell from my first pic, but it's only 2" in diameter. 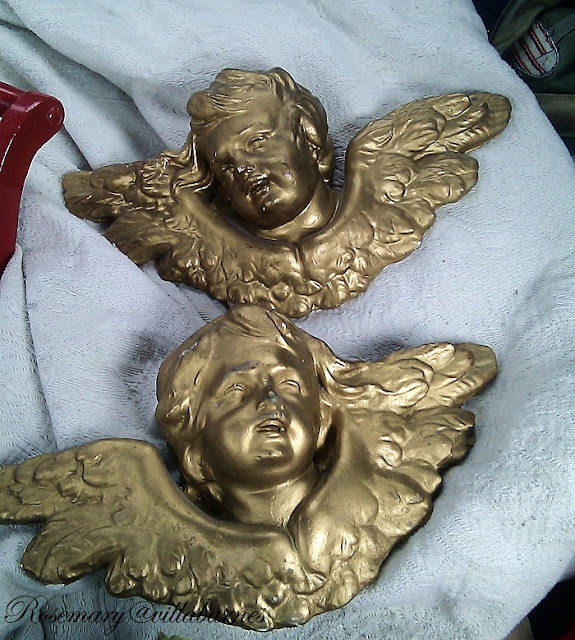 Each piece is made of brass. I roughed it up, and gave it a base coat of charcoal paint, mixed with a little plaster. 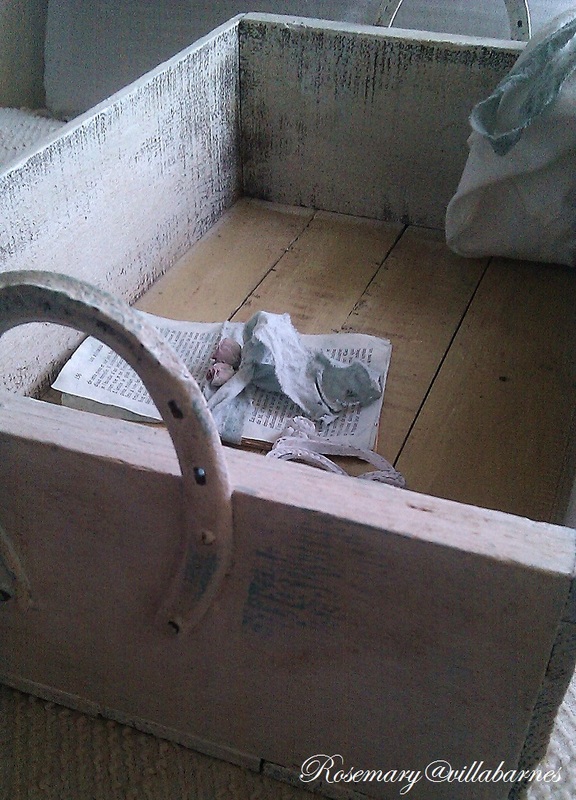 A somewhat thin coat of white followed, which faded to a pale grey. After a little distressing, I finished it off with matte varnish. 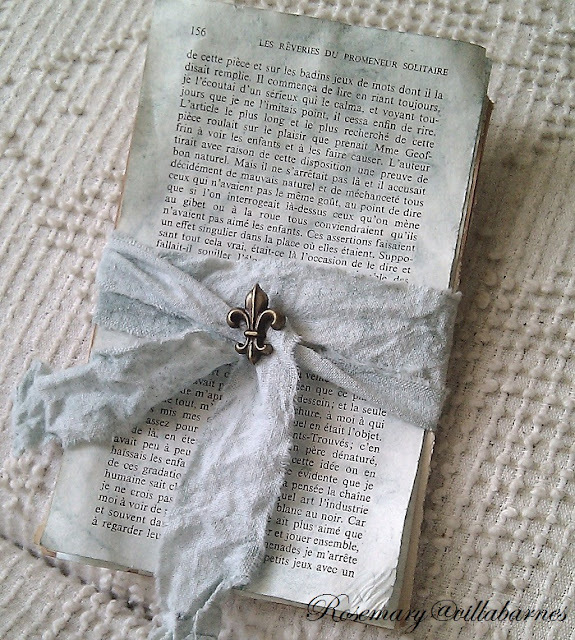 I'm loving this little beauty. 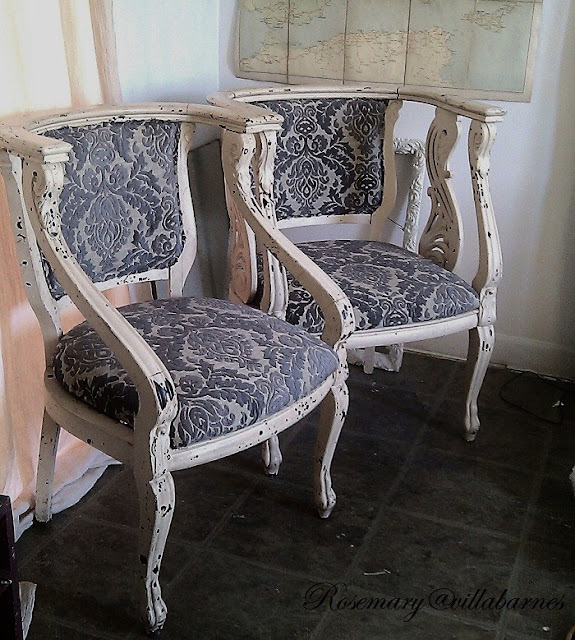 As long as I was on a more layered, distressed finish, I kept going with these. 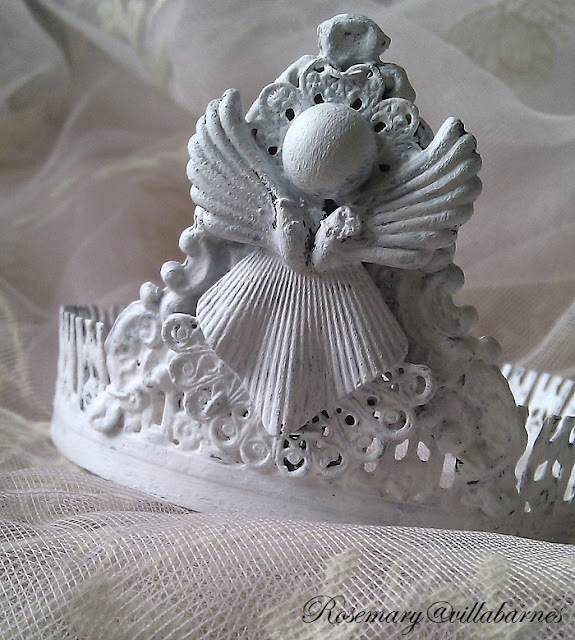 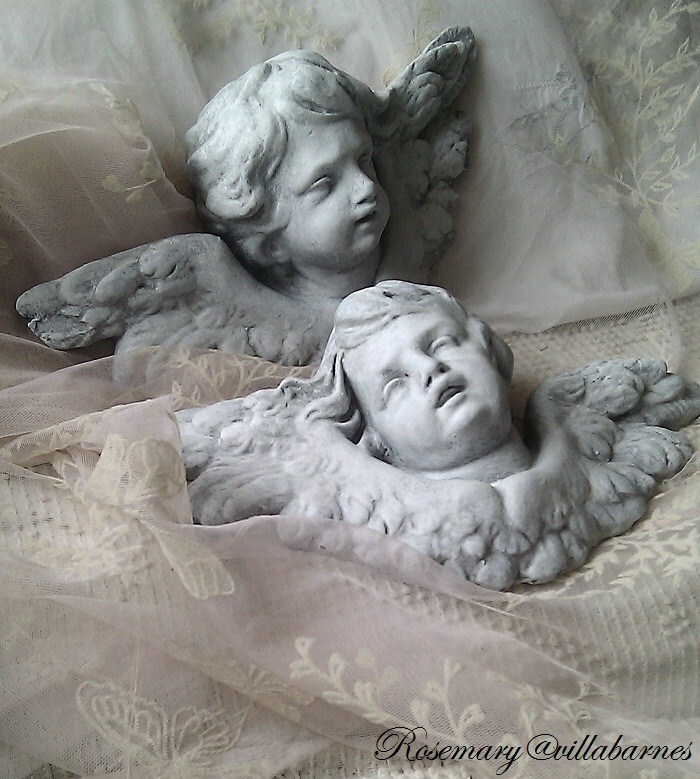 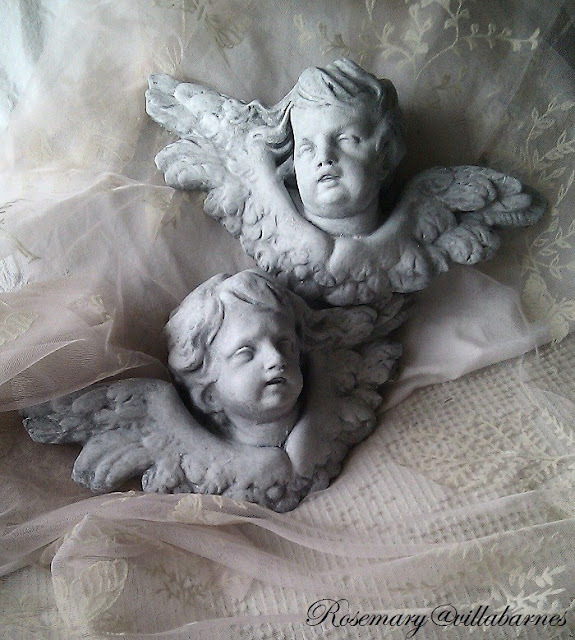 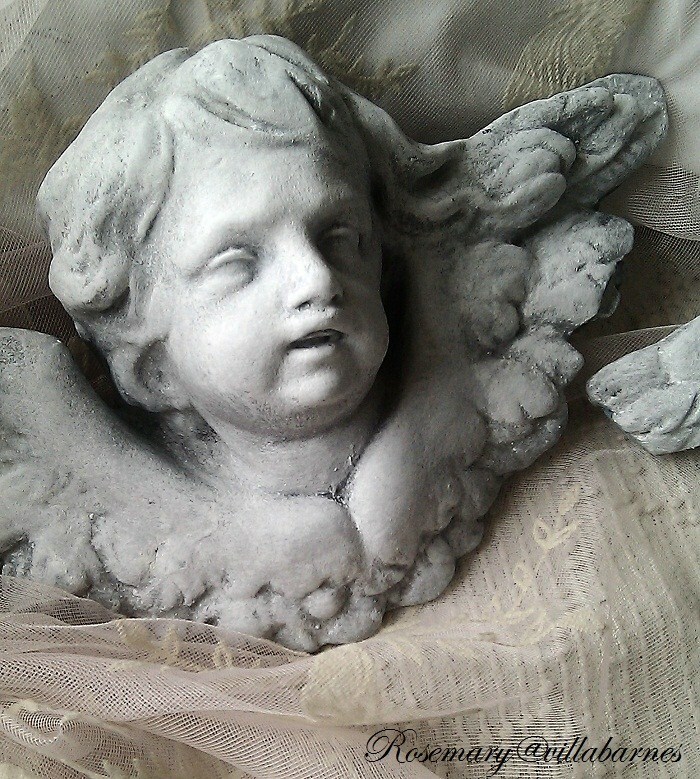 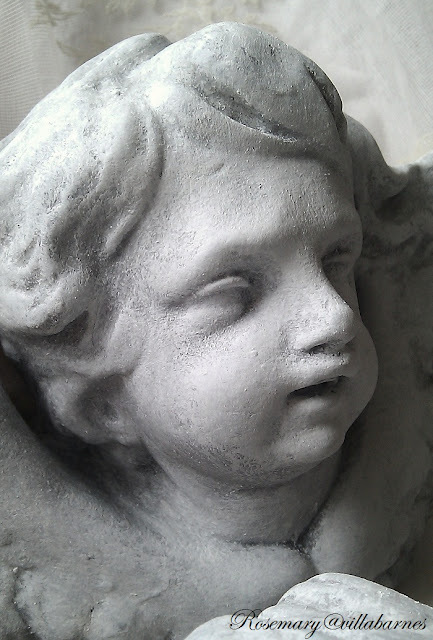 Oh, yes, I made more angel tiaras. I'm working on a few redesigned frames, boxes, ottomans, etc. 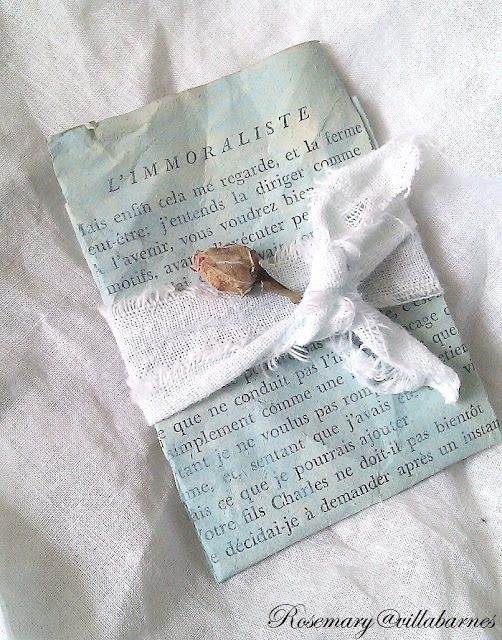 I'll share soon.